Sales of online food have been increasing at an astonishing pace. Currently, it is mainly driven by the millennials, and the trend seems to be speeding up. According to forecasts, in 2030 the value of the global online food delivery market will have reached USD 365 billion! (source) Perhaps you’d like a piece of that cake and ensure a Foodpanda alternative instead of paying commission to the portal? Would you like to forget about paying commission to the online food ordering portal? When you cooperate with an online food ordering portal, you pay commission from the value of orders placed through a given portal. Such a solution is not advantageous for restaurant owners. The better your business prospers and the more you sell, the more you have to pay to the portal. When you launch your own online food ordering system, as a Foodpanda alternative, you will only pay a small monthly commission. The fee will not depend on the value of your orders. 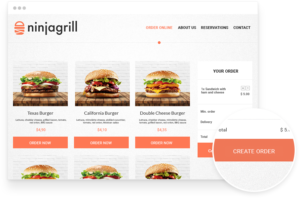 A food ordering system on a restaurant website is an ideal alternative to food portals. By having this in place, your customers will be able to place orders directly from your website. You will no longer have to redirect customers to third-party portals. Refer everyone to your online orders. 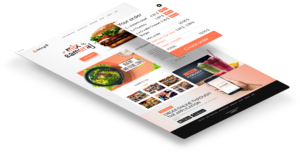 Along with the online food ordering system, you will gain access to completely new marketing tools that will contribute to increasing online sales! Benefit from using your own newsletter database, generated automatically in the UpMenu system as well as the module for sending SMS, email, and PUSH campaigns. 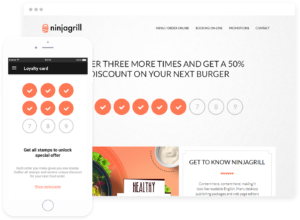 Notify your customers about new dishes in the menu and promotions through custom-made campaigns and notifications. Thanks to your loyalty programme, you will gain more loyal customers who will order more food from your restaurant to win prizes. This is a great Foodpanda alternative! Instead of paying commission to a portal, make sure customers return to your restaurant more often. Do you want to get really close to your customers? 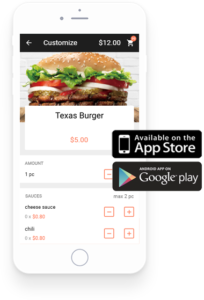 Give them a mobile app for your restaurant! With the above, you will become their first choice when they decide to order food. After all, your restaurant will be available on their smartphones at all times! This way, you will increase the number of orders executed online. The more orders you complete, the bigger the profit you obtain. In cooperation with an online food ordering portal the key aspect is to have an alternative. Only then will you have in a proper position for negotiating terms and avoid becoming reliant solely on a portal. TheUpMenu system, as a Foodpanda alternative, will be the place to which you should refer all your customers wishing to place online orders. This way, even if you decide to resign from cooperating with food portals, you won’t lose profits from online orders. If you would like to find out more about this, refer to the article entitled Looking for a food delivery portal alternative? An Online food ordering system on a restaurant website and in a restaurant mobile application is an ideal Foodpanda alternative. Thanks to the UpMenu system, not only will you limit the cost of commission paid to the portal but you will also gain independent and increase sales! Contact us! We will be more than happy to help you launch online orders on your website, so you can increase your profit.